Tumblr is a fast growing blogging service with millions of users all writing, posting, and sharing their ideas and photos. Like WordPress, many use Tumblr for a variety of different types of content. If you have a Tumblr, you have probably spent a fair bit of time getting your theme set the way you want and putting out quality posts you care about. Losing all of that would be awful, and with the way many online services and social networks attempt to change their sites so frequently, it’s a definitely possibility. Luckily there are quite a few services available that will help you back up some or all of your Tumblr blog. Today I’m going to outline just a few, since there are so many. These seem to be some of the most well liked and used services available. This is the official Tumblr backup service, however it is currently only available for Mac, even after being out since 2009. Once downloaded, you can then backup parts of your blog including private and public notes, submissions, feed-imported posts, and audio files from reblogged posts. If you have a custom theme, the code is included in the backup as a separate file. You’ll have to re-run the backup on your own however – there is no scheduling option for this service. The official Tumblr Backup app is free. 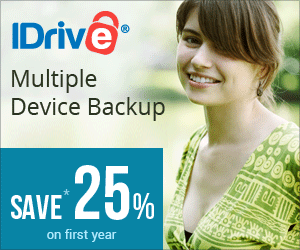 A free, daily backup service that can save up to 30GB of posts. Revert also gives you access to the last 30 days worth of versions so you can revert to a previous version if needed (hence the name of the service). When you go to revert a post, the post is saved as a draft on your dashboard so you can post as-is or edit if needed. The drawbacks to this service are that you can only backup one of your Tumblr URLs and that it does not back up drafts, likes, your queue, or your appearance and theme.¬†If you¬†really like the service, you can pay $9.99USD a month to save more data and backup more sites. This bare-bones tool has similar limitations to the Tumblr Backup app, however since it is web-based it works regardless of your computer type of choice. You choose your Tumblr, tell it how many posts to fetch and which types (texts, links, quotes, photos, chats, videos, songs, or everything) and it gives you an HTML file on your hard drive with your backed up information. Though minimal, this is a good alternative to the official Tumblr Backup in case you are having issues accessing Tumblr yourself. This service actually allows you to back up a wide range of social networks including Facebook, Twitter, Instagram, and more. Like Revert.io, Frostbox allows for automated daily back ups so you don’t have to worry about remembering to make backups yourself. For Tumblr, it will backup your text, photo, video, and quote posts. Unfortunately, this service does cost money – $6.99USD per month and there is a 7 day free trial available. I suppose since it backs up such a large amount of data from so many sites it evens out. A few things I’ve noticed across all the backup services is that drafts and items in your queue will probably get lost. I have yet to find any Tumblr backup service that catches these types of items so if you use the queue system extensively I recommend keeping your own copies on your computer of any important posts you might queue up. Also, make sure you use a backup system if you’re spending a lot of time making a custom theme! Hopefully some of these tools will meet your needs and you can backup your posts without worry. Lindsay is a freelance writer based in New Zealand with a passion for podcasting, gaming, and social media. Cloud storage has saved her more times than she can count.